Test your wits and your patience with this collection of unbelievably hilarious riddles. This clean joke book for adults and kids is full of delightful fun! 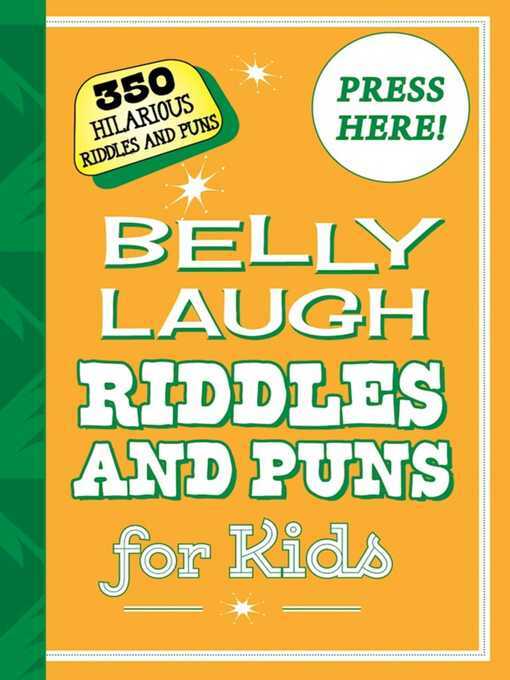 Designed to meet the needs of millions of children constantly hungry for joke books, and for parents who look for pun jokes and riddle books for kids, this collection has 350 hilarious puns and riddles for kids. It is complemented by clever and witty line drawings made by the talented illustrator Bethany Straker. Belly Laugh Riddles and Puns for Kids is ideal for long car rides and rainy days with kids ages five and up. This delightful book will certainly bring laughter and fun into your home! Remember to press the "Duh!" button on the front cover for extra laughs!